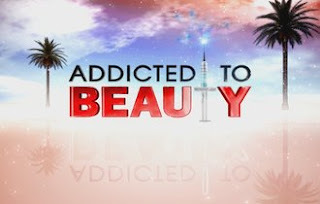 There is a new plastic surgery reality program debuting tonight at 11/10C on Oxygen called Addicted to Beauty. It follows a real-life plastic surgery practice in La Jolla, California. Now that Dr. 90210 is no longer making new episodes, Addicted to Beauty has arrived to satisfy your over-the-top plastic surgery reality show cravings. Take a look at their sneak peak here. I watched this show last night and I was SO distracted by the excessive use of fillers in the 2 spa owners! Why do women think that they look better with overly inflated cheeks and lips? They look like clowns. Here's a photo, I'm talking about the women in the back-center and back-right. Awful, just awful. Wow...I watched the repeat of the premiere episode last night because you had blogged about it and I ... I'm not speechless, but I'm determined to be nice when posting things online so I'm just going to hold my tongue. That being sad, those people and that office are the polar opposite of your practice and staff members and I cannot imagine working in that environment. What plastic surgery procedure/issue causes the immobile, plastic, shiny appearance Dianne's face has? I've seen this plastic doll look before but I've also seen great results when people who've had plastic surgery look younger and better. I can't believe the doctor injected more filler into her face for the party. She clearly has already overdone it and he should have had the integrity to tell her "enough is enough." If my plastic surgeon's office were run by people like this, I'd stop going there. I also wish that people who inject fillers could "just say no" to their dysmorphic patients. The bizarre mask face is, unfortunately, becoming far too common.